The “mushrooming” costs of legal advisers needed to sell a business is making the process more expensive but can pay off by maximising values and reducing the risk of a deal collapsing. 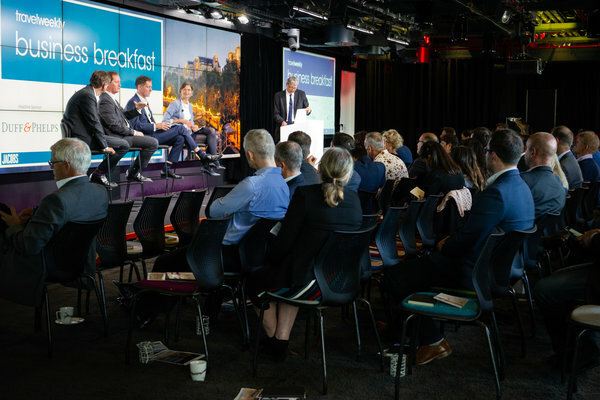 Experts in travel mergers and acquisitions told the latest Travel Weekly Business Breakfast it was normal to have teams of corporate, management and technology advisers involved in deals. One investor involved in private equity firm LDC’s purchase of Neilson in August defended the trend. Challenged about a list of 15 advisers disclosed in the deal, Richard Whitwell, LDC’s head of East Midlands, said: “That seems to be the way, certainly with a deal like that. If you want to be involved in a professional and well-run auction, it puts more reliance on your advisory group. Peter Liney, chief executive of Great Rail Journeys, who in June led a management exit backed by investor Duke Street from previous owner ECI Private Equity, said: “There is no way as a CEO you would spend money on this sort of stuff normally and you do have to suspend judgment somewhat. “It is too expensive. There is too much cost and I think the process is engineered. But having had that challenge, I would say it’s what you are able to take out of it. Roger Flynn, who until May was chairman of fast-growing online travel agent Love Holidays before it was bought out by private equity firm Livingbridge for £180 million, said: “You write off costs versus benefits because you don’t want any shocks and surprises along the way and you want enough competitive tension in the process to make sure you get the best price. “If that makes the difference between £170 million and £180 million, then it [use of advisers] will pay for itself. “Getting due diligence done early so you understand all the things that could come along and be bumps in the road pays itself off later because you know what’s coming. The costs scale down with size. Nicki Boyd, partner at Apiary Capital, a new investor which made its first investment earlier this year in The Appointment Group, a corporate travel management firm, said all advisers play a vital role. She said the process of selling a business had in some ways become more efficient due to the focus on making sure the right data was available. “Our job is to put all that together,” Boyd said. Neilson Active Holidays’ new investor sees growth potential similar to previous travel investments it has made. LDC bought the Brighton-based ski and beach club specialist in August from Risk Capital Partners, which had owned it since 2013 when it bought it off Thomas Cook for £9.5 million. Richard Whitwell, head of East Midlands at LDC, and who became a Neilson board member following the buyout, said: “We have known the management team for some time and we felt it was a high‑quality business. “It was in a differentiated space, and they had a good proposition and a good management team, and we were comfortable paying a market price. “In the last four to five years under Risk’s ownership, the team has done a good job transforming operations and did a very good job exiting Turkey. Whitwell described the process of buying Neilson as “very professional” and said reports that the deal could have failed at the eleventh hour “did not come from us”. LDC’s other travel investments include Iglu, Away Resorts and Blue Bay Travel. A former chairman of Love Holidays said the online travel agent had been keen to complete its sale before the summer due to the possibility of “choppy waters ahead” in the market. Love Holidays was sold in May to private equity house Livingbridge, which formerly owned rival On the Beach, for £180 million. Roger Flynn said the process of selling the business was almost a year in the making and the OTA had spent a lot of time and energy preparing for the outcome. “We were fortunate in that there is a lot of appetite for travel businesses,” he said. “Private equity has done very well from travel by and large. However, Flynn said Love Holidays had continued to outperform expectations, and described achieving a £180 million valuation in just six years as “pretty good going”. Flynn said the attractiveness of Love Holidays to investors was its differentiation, but he said the firm had looked to “fly under the radar” in the early days. “We did not want [competitors] to find out about us until it was too late,” he said. “Love Holidays looks at holidays differently to the rest of the market. Flynn said trade interest in Love Holidays “fell by the wayside” as the valuation rose. “Private equity is prepared to pay more than a lot of trade [buyers]. You have quite a lot of trade players who would be interested if Love Holidays was bigger and more international. Flynn added that floating via an IPO (initial public offering), as On the Beach did having been sold on to Inflexion by Livingbridge, was considered too great a risk for shareholders. The Business Breakfast panellists predicted a tough period for the travel sector as a result of Brexit, but saidd it could be short-lived. Roger Flynn admitted he had never known a period with such a lack of clarity for business, but he said: “In the end, a deal will be done. “If you have no deal, Ireland, Belgium and Holland will fall into recession, so for the EU it’s as much a problem for them. “But the risk of a weak deal has gone up significantly. It’s painful not knowing what’s going to happen after March when you are selling a year in advance. Travel brands need to invest more in advertising creative to see a real return on investment (ROI). Ruairidh Roberts, Google’s industry head of travel, cited Neilson research, which indicated 50%-80% of return on marketing expenditure is down to the creative. Roberts showed two Mercedes car adverts to illustrate his point. The first was a conventional, “vanilla” creative, with the vehicle seen driving on mountain roads. The second ad, which featured a small child wearing hand-medown clothes, was developed after the impact of the first was analysed. Roberts said the latter drove 500% better brand uplift on YouTube, where the videos had been uploaded, than the first. Roberts said Google data showed that of five leading travel brands, only one had seen a significant uplift in brand impact over recent years. He did not name the other brands, but revealed On the Beach had outperformed the others. “They have invested cleverly,” Roberts added. “The rest have all gone through a merger or acquisition since 2004, but you see little change in brand recognition. Private equity can help the businesses it buys attract the right calibre management, according to a new investor in travel. 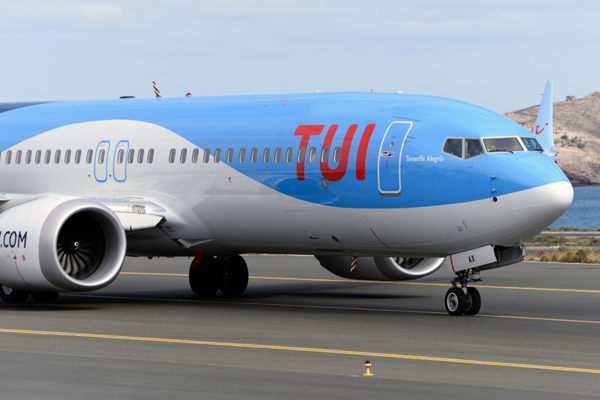 Apiary Capital sealed its first investment in April when it bought The Appointment Group and installed Steve Barrass, formerly of dnata Travel, as chief executive. The firm, a corporate travel specialist in the music, entertainment, film and media industries, has a fund to pursue a buy-and-build strategy, said Apiary partner Nicki Boyd.